It may be useful to think about or list all of the healthier things you do eat in order to expand upon or combine them. For example, I do eat apples. Apples can be eaten many different ways in order to keep some variety in your routine while not becoming sick and tired of the same damn food. I'll use potatoes because it's really simple to incorporate potatoes into things. Though the health benefits of a potato are somewhat limited. (Again, some of these options are more sinful than others). I've also made mashed potato sandwiches with leftovers as well as a with a variety of other dishes to bulk out the meal. But you may also consider making your own healthy baked french fries, mashed potatoes, or any other way you can imagine creatively preparing this (or any other) vegetable. 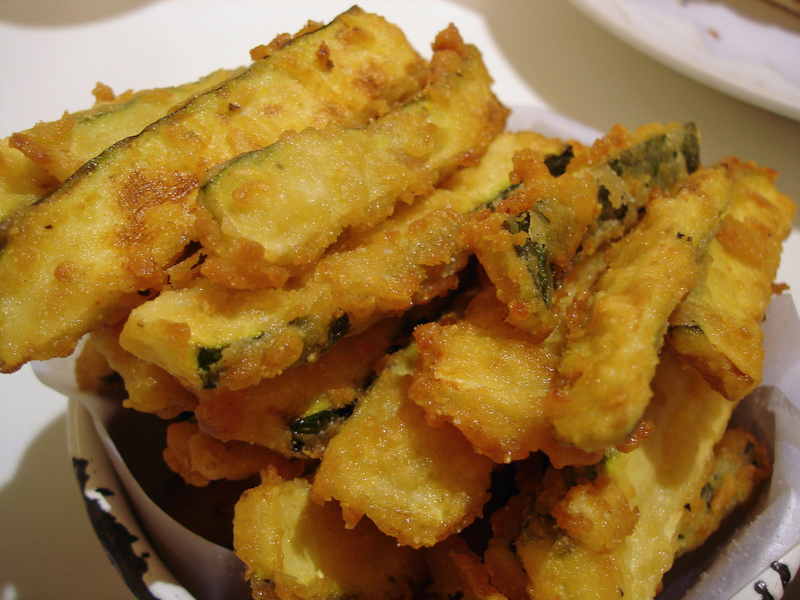 The courgette/zucchini fries, which I first tried at my favorite burger place in London, Byron.